Production Welding: We can complete the welding requirements for projects of all sizes, from large projects to the welding of individual products - with large or small runs. 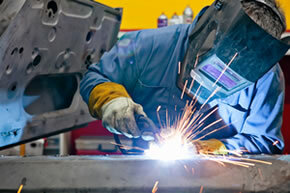 Custom Fabrication and Repairs: If you have specific welding requirements, call us to discuss your requirements. 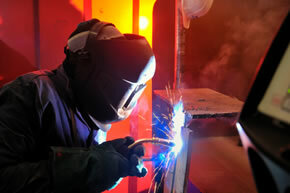 On-Site Services: We can also carry out welding assignments on-site including large commercial projects or one-off jobs around the home.